Here is the raw list, with no particular order. Overall, I didn’t read a lot this year. I didn’t keep track of everything either, so a few are missing. I started reading a lot of popular science book, and really enjoyed it. I am planning to do the same this year. Any advice is welcome ! L’île des chasseurs d’oiseaux, Peter May . My favorite of the year. Absolutely terrific. Much better than his other books. Critical mass, how one thing lead to another, Philip Ball . I love Philip Ball. Life’s Matrix: A Biography of Water, Philip Ball. My favorite science book of the year. The Structure of Scientific Revolutions, Thomas Kuhn . A classic. Branches: Nature’s Patterns: A Tapestry in Three Parts, Philip Ball. I love Philip Ball. Oh, did I already said it ? Théorème vivant, Cédric Vilani . The making off of a Fields medal. Awesome. Reinventing Discovery: The New Era of Networked Science, Michael Nielsen . An eye-opener for me. Sur les épaules de Darwin: Les battements du temps, Jean Claude Ameisen . in French. If you enjoy the radio show, you’ll love the book. I already offered it twice. 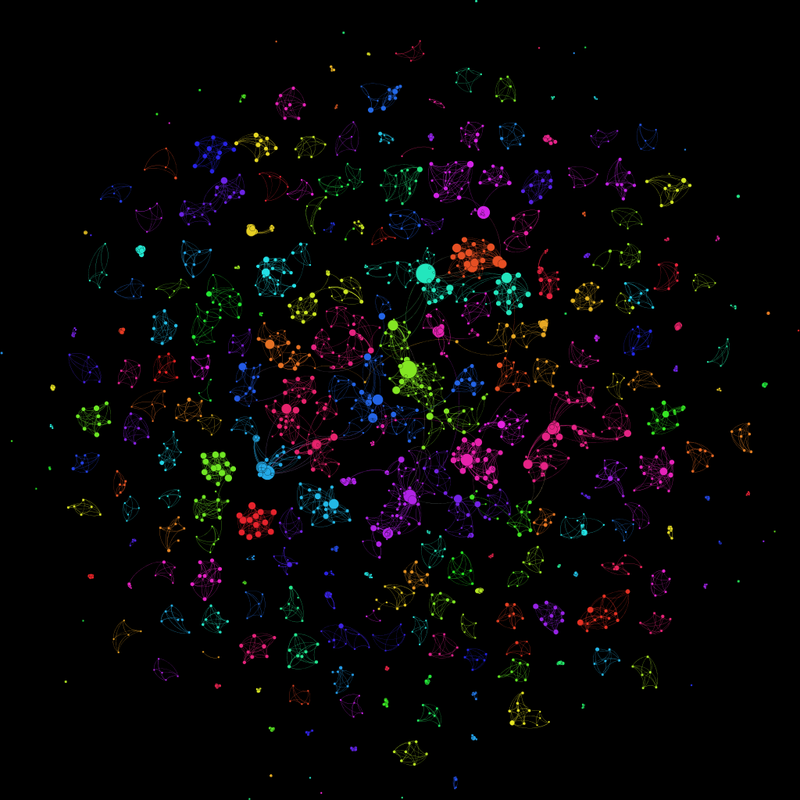 Here’s a snapshot of my main side project, using my new favorite software: Gephi. Click for full size. Hint: this is a network of people.